I love it when the Holy Spirit shows up in church gatherings. Whenever sinners are converted, backsliders repent, bodies are healed or self-centered believers are broken by God, we see evidence of the Spirit’s work. But I don’t appreciate it when people fabricate spiritual manifestations to prove God is using them. A few years ago a popular charismatic preacher spoke at a meeting I attended at a church in Orlando, Fla. After his message he asked all ordained ministers to run to the platform so he could lay hands on them. Immediately this man’s team of beefy bodyguards began grabbing people, dragging them onto the stage and holding them in place until the evangelist could pray for everyone. I felt queasy about this spectacle. It resembled a charismatic version of World Wrestling Entertainment: lots of smacking noises, falling bodies and cheers from the excited crowd. We Christians seem to love a good show, even if it is staged! I cringed as I watched the bizarre theatrics. But before I could move to the side of the auditorium, one of the evangelist’s 220-pound goons strong-armed me onto the platform. When I looked up, the wild-eyed preacher was heading toward me with his arms flailing. I tried to duck, but when he got close enough he shouted “in the name of Jesus” and slapped me across the face. I tumbled to the floor. My face and neck were stinging with pain. I had not been slain in the spirit, as some observers assumed. I had been assaulted. This man used his own strength to make people think he had imparted a special anointing to me. All he did was give me a headache. Because of this embarrassing smackdown, I decided I would never push people during prayer, not even gently, or do anything to manipulate the Holy Spirit’s power. I want the real thing. I don’t want to grieve the Holy Spirit by pretending. Why do some Christians insist on pushing people during prayer? Some do it out of ignorance or because they have seen famous evangelists doing it. Others push to force spiritual results. They think if enough bodies end up on the floor, people will assume God showed up. I know there are times when people can be so overcome by the Holy Spirit’s presence that they become weak in the knees. King David trembled in God’s presence, and the priests in Solomon’s day could not stand in the temple because of the heaviness of God’s glory (see 1 Kings 8:10-11). But there is absolutely no biblical precedent for forcing people to fall. In Exodus 30:22-29, God gave Moses the recipe for the holy anointing oil that was to be used in the tabernacle. Each ingredient—cinnamon, myrrh, fragrant cane and cassia—had to be crushed first and then blended in olive oil. All five components represent Jesus, who was crushed for us. Moses was warned that the oil was never to be misused, nor were any ingredients to be left out or substituted. God commands us never to cheapen the oil of the anointing, mix foreign substances into it, dilute it or create our own version of it. The Holy Spirit is holy! People in the Bible who tampered with the holy recipe (such as Aaron’s sons, Nadab and Abihu, who offered strange fire on God’s altar in Lev. 10:1-2) suffered serious consequences. Today I fear we have blended the anointing with other ingredients. 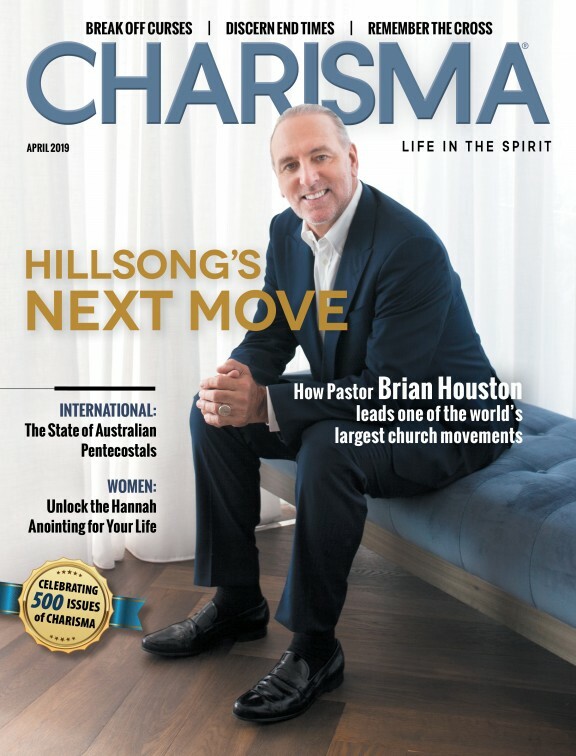 The charismatic movement has become an embarrassing mixture. Some preachers dangle God’s promises over people’s heads and offer elusive promises of prosperity "if people will call this number now and give a donation." Others fake certain body movements to make people think they are super-charged by God. Others mix exotic anointing oils (on sale now for only $12.99!) or they create anointed candles, suggesting that certain scents can trigger the Spirit’s power. This borders on witchcraft. Please search your heart. Do you push people to the floor when you pray for them, rather than trusting the Lord to do His work? Are you trusting in Him, or in the arm of the flesh? Have you lied to the Holy Ghost by faking the anointing? Have you mixed your own version of the anointing oil, adding exotic substances that are not of Christ? Have you become addicted to sensational experiences, always craving a sign yet never satisfied with Jesus alone? How sad that a movement that began in the Spirit has wandered so far from the holiness of God. He sees through our charade. Let’s repent of our childishness, throw out the fake oils, stop making false claims, and quit abusing and manipulating people to make ourselves look spiritual. J. Lee Grady is contributing editor of Charisma. You can follow him on Twitter at leegrady. He is the author of several books including 10 Lies Men Believe and The Holy Spirit Is Not for Sale.